Naturally occurring oxygen is composed of three stable isotopes, 16O, 17O, and 18O, with 16O being the most abundant (99.762% natural abundance). 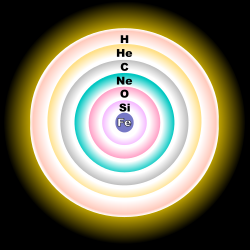 Depending on the terrestrial source, the standard atomic weight varies within the range of [7001159990300000000♠15.99903, 7001159997700000000♠15.99977] (the conventional value is 15.999). This page was last edited on 20 April 2019, at 23:04 (UTC).